Buy 1 oz 2015 Buffalo Gold Coins | ?? 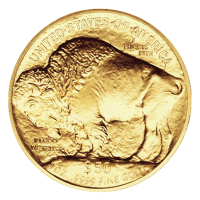 1盎司2015年水牛金币 By popular demand, we are happy to offer the 1 oz American Gold Buffalo Coin for purchase. These coins are the first 9999 fine (24K) gold coins struck by the United States Mint. With a face value of $50 and a design replicated from the 1913-1938 Indian Head 5 cent coin, these pieces are sure to please.